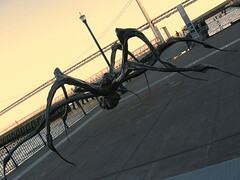 Louise Bourgeois’ Crouching Spider is leaving. Visit soon! 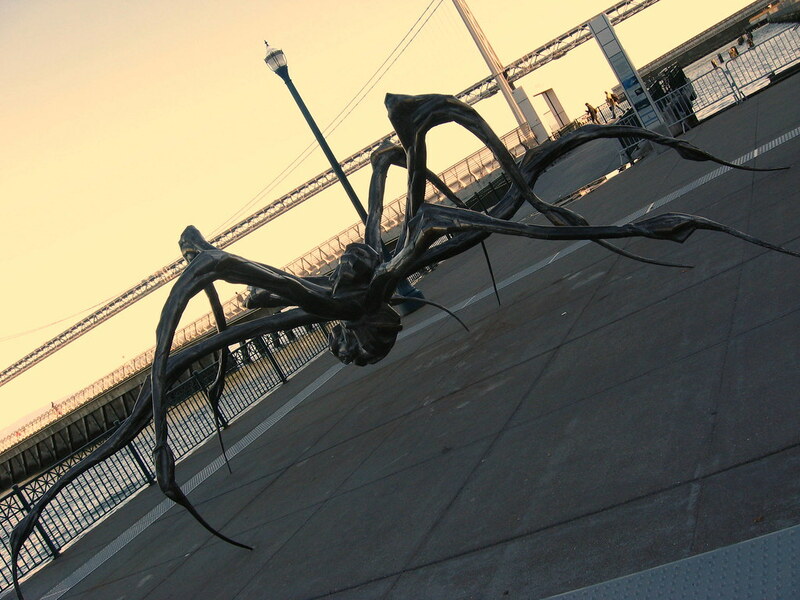 Unlike London, whose Tate Museum owns Louise Bourgeois’ Maman (given as a gift by the artist and an anonymous benefactor), San Francisco only had Louise Bourgeois’ Crouching Spider on temporary loan (for eight months initially and then for another ten). 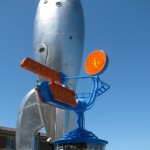 Crouching Spider was purchased by a private buyer for $6mil and will be moved to Houston by the end of the month. Visit soon! Pier 14. Can’t miss it! Wonderful papercuts and other works from sustainable materials and everyday objects. We visited the open house at 1440 Kearny Street yesterday. Beautiful condo. *ONLY* $2.675 million. 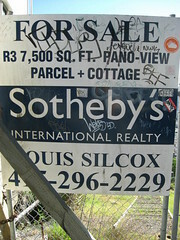 Nice chat with listing agent extraordinaire Louis Silcox, who lives near us and knows people we know. I see his name everywhere but we’d never met. Views are toward downtown. No water views. No bridges. Still, the views are extraordinary. Nice yard area with solid solid solid retaining walls. Three levels. Three bedrooms. Private elevator so you don’t have to slog your groceries up stairs. TWO CAR PARKING! (Worth an extra $200K right there. …) Two fireplaces. Wonderful kitchen. Maple floors. And loads of art and photos. One of the photo artworks was a large collage of images out plane windows with wing tips showing: clouds and sun and weather and blue. Each image had been shaped in an ovoid fashion and the images were piled 5 x 7 or so in a large frame. Lovely. I would’ve taken it home in a flash. I [heart] views out airplane windows. Public art by Ugo Rondinone. Moonrise Sculptures: March, October and December. 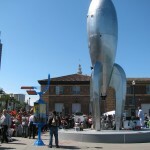 Three sculptures at the public plaza at 555 Mission. We’re talking nine feet tall here, folks.